What have you been baking in your kitchen? 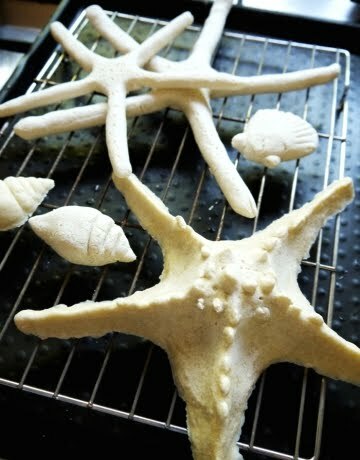 How about baking decorative salt dough starfish? 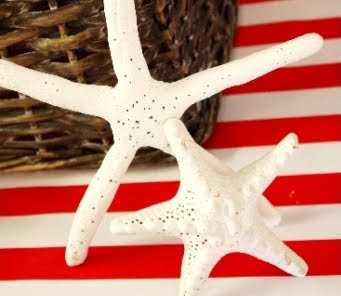 Salt dough starfish make great decorations, garlands, and Christmas ornaments. Salt dough starfish have a lot of personality. Only few ingredients are needed. 2 cups all-purpose flour, 1 cup salt and cold water -plus your imagination. For the full tutorial, head over to Bird's Party. 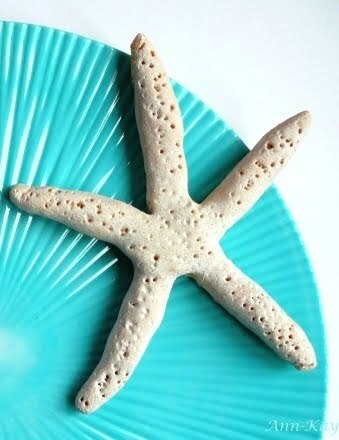 No forms/cookie cutters are used, just mold the dough to resemble a starfish. The finished shapes can be air dried or baked, then made smooth with fine grid sand paper, plus you can paint them too. 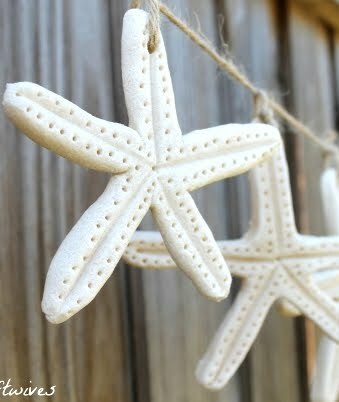 But there is more than one way to make starfish salt dough decorations. Ann Kay Home mixes an equal amount of salt and flour, and doesn't form a ball but single "sausages" that she then puts together in a star shape. "A tiny amount of water helps to smoothen the surface to avoid visible seams. She used a fork to prick the holes. 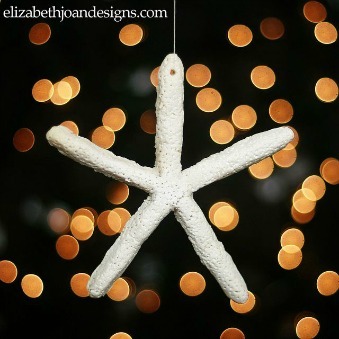 You can string salt dough starfish up into a Garland and Hang them. 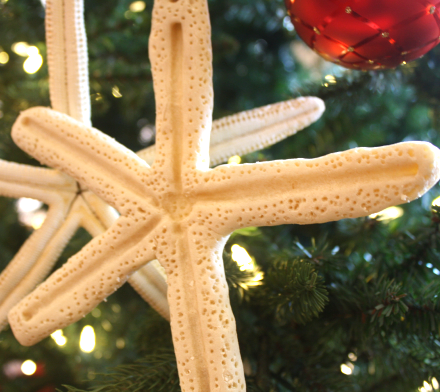 Or turn your salt dough starfish into Christmas ornaments. By Lily and Bliss. 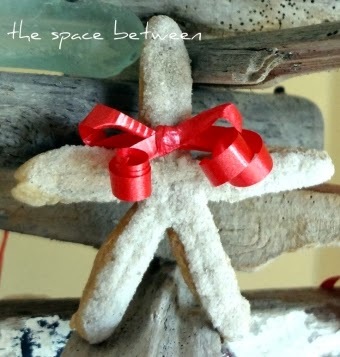 And another example of a great salt dough Christmas ornament by Elizabeth Joan Designs. They look cute with ribbons too. By The Space in Between.